If you are like most homeowners, you will have areas of the home that require demolition from time-to-time. The demolition process is less hazardous when you know what you are doing. However, most homeowners end up with a big mess on their hands. 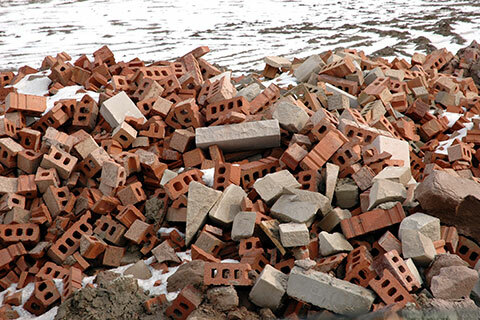 Learning how to plan a small structure demolition will help you to make the right decisions when it comes to completing the demolition successfully. If you are removing a shed, garage from your property or a structure attached to your home such as a porch or sunroom, it is important to consider the structure. Start by removing anything inside the structure. Once your belongings are out of the structure and stored somewhere else safely, consider how the structure will be taken down. Remove any windows so that glass will not be an issue. Other certain components of the structure will need to be removed first to ensure the process of the demolition is safe. You want to remove the structure piece-by-piece so that the debris can easily be cleaned up. Planning the demolition from start to finish should include the removal and disposal of the structure’s debris. Don’t underestimate this part of the process, as it can take significant effort to clean-up after a demolition project. The last thing you’ll want is debris scattered all over your property, which can be an eyesore and potentially dangerous. A large part of the small structure demolition success requires you to use the right tools, equipment, and protective gear. Always wear proper safety equipment such as goggles, gloves, and work boots. For demolition tools, some of the essentials are a pry bar, pliers, hammer with ripping claw, sledgehammer, etc. 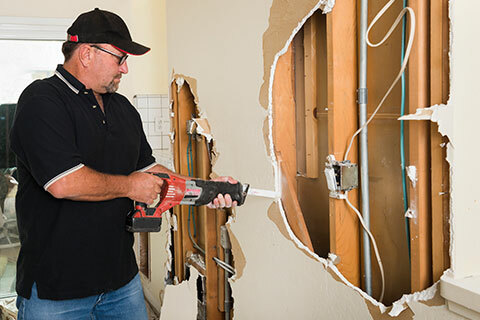 Of course, any demolition is made easier with power tools. If you have access, make use of a jackhammer, reciprocating saw, circular saw, cordless drill, and an angle grinder. However, with the use of any power tools, additional caution and safety need to be exercised so an accident doesn’t happen. If you are like most homeowners, chances of having the time or the patience to complete the demolition are low. Hiring our professional team of demolition experts will ensure your small structure demolition is completed timely and safe manner. The Kloos demolition experts know how to remove the structure piece-by-piece, planning the project perfectly to finish quickly. As part of our service offering – we can expedite the process and haul away all debris, clearing your property with ease. At Kloos Hauling & Demolition we are ready and standing by to take on your small structure demolition projects. Don’t stress over the details, the mess, and the potential of damaging other parts of your property – or causing injury. Make it a Kloos call – 204.955.1188 – today! Posted in Blog and tagged Debris Removal, Demolition, Garage Demolition, Hauling Service, Home Renovation, Junk Removal, Residential Demolition.